Roque Nublo is a bizarre summit in the middle of Gran Canaria. The village of El Carrizal is like an avalanche of white houses. 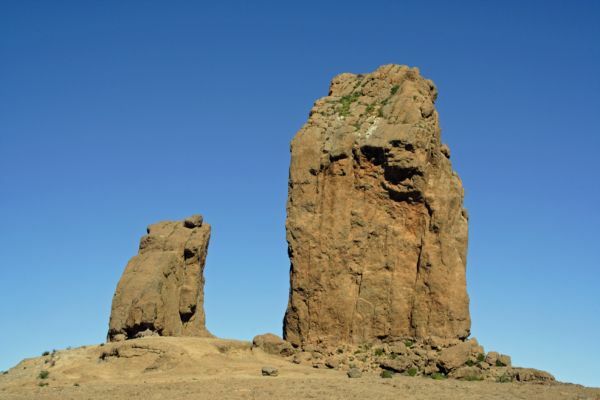 Rocky pinnacles near El Fraile in the middle of Gran Canaria. 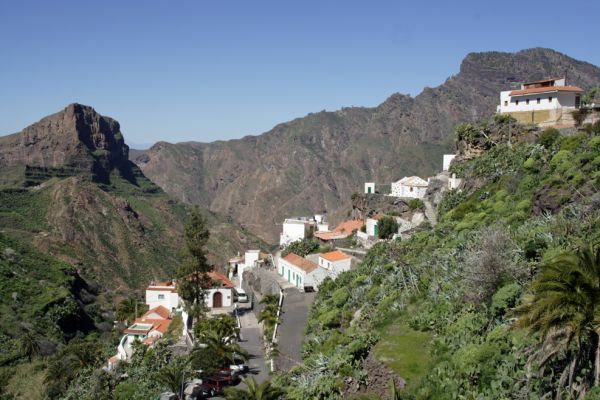 This is one of two guidebooks that replaces Walking in the Canary Islands - East. An update to the original guidebook was planned, then shelved, as the authorities in the Canary Islands embarked on an ambitious plan to signpost and waymark a splendid network of trails across the entire archipelago. Work commenced on Gran Canaria, but later stalled, but enough of the trail network was cleared and signposted. Gran Canaria has often been described as a ‘Continent in Miniature’, and it certainly displays a wealth of fascinating landscapes within a very compact area. Splendid mountains rise in the middle of the island, surrounded by extensive pine forests. Countless barrancos cut deep into the island, flanked by towering cliffs and precariously-perched buildings. The biggest city in the Canary Islands, Las Palmas, is located here, but there are several small towns and dozens of villages dotted all over the island, connected by the most amazingly convoluted network of roads. Many areas have been protected as natural parks. The waymarked trails on Gran Canaria are almost exclusively yellow/white flashed ‘PR’ routes. Some of these trails link villages together, while others follow mountain ridges or deep barrancos. Many of these trails are concentrated in the high, central mountains, or radiate downhill from there towards the low-lying areas. 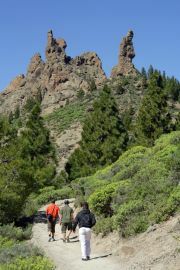 Of all the Canary Islands, Gran Canaria has yet to complete its stretch of the island-hopping GR131 trail. However, enough is known of the intended route for a version of it to be described in the guidebook, coast-to-coast from Puerto de las Nieves to Maspalomas. Other stages of this long-distance trail are marked across the islands of Lanzarote, Fuerteventura, Tenerife, La Palma, La Gomera and El Hierro. Gran Canaria is of course very popular with summer holidaymakers, but for walkers it offers a splendid winter destination, with enough walking routes available to cover several visits, with fine weather almost guaranteed. However, the high, central parts of the island can be damp and misty, and may catch snowfall on rare occasions.